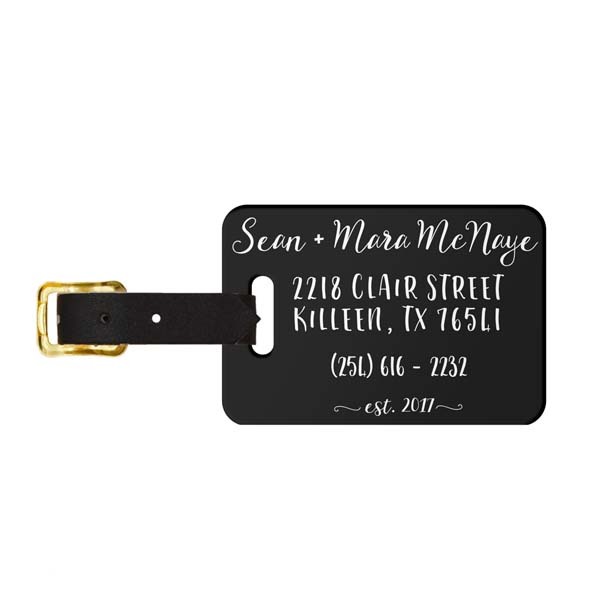 This stylish, black & white luggage tag is timeless and beautiful, just like your love. Personalize it with your new name and contact info and you'll have one less thing to worry about while planning your special day, and the honeymoon to follow. 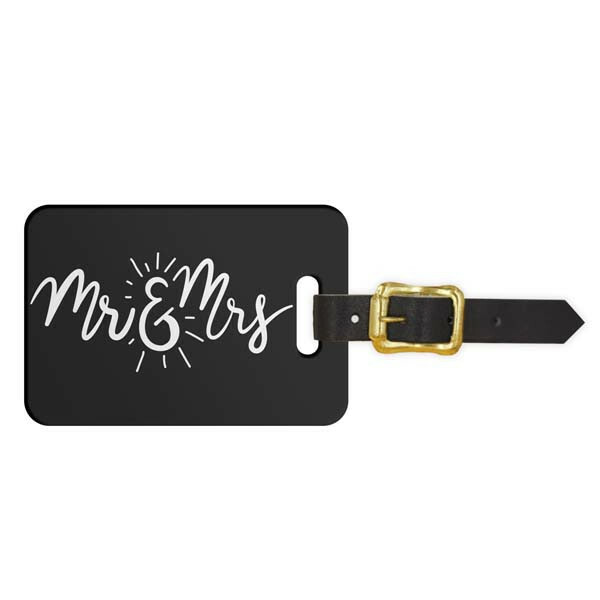 Commit to traveling smart and in style when you personalize your very own Mr. and Mrs. Newlywed Luggage Tag. From the honeymoon to going home for the holidays, this luggage tag is built to last you for years to come. Best of all, your personalized product is hand-crafted and shipped from sunny Florida, so you can be confident you'll receive the highest quality with the fastest shipping time around!